I get asked a lot of questions so here are some Frequently asked Question snd my responses. Stitching on hard structured, buckram, caps. I've got a problem with some particular reinforced hats that I've never encountered before. The hard plastic threads inside the hat are being pulled out and breaking needles. I'm not sure if there is a workaround or if the hats are just going to be problematic and to do the best I can with them with another method. I've really slowed everything down and tried hooping in the best ways I know how but this is also a new one for me. I added a pic of the "thread" problem. Any help would really be appreciated as the client will be in antsy/pressure mode soon. I have recently had a lot of complaints about Richardson caps. They are great looking caps but the thick hard buckrum in the front shreds thread and breaks needles. Here are a few things that you can do that may help. Hoop your cap tight and make sure that you get rid of as much of the space as you can between the cap and needle plate. Several layers of backing may help with the stitching. I have some customers that heat press the cap before they stitch it. This softens the plastic backing so it doesn’t shred the thread as much. Thread is thread… right? WRONG. You can reduce thread breaks and make your embroidery look better by using a higher quality thread. I am not suggesting that you replace all of your old thread, just be aware that you may have more problems with what you have now. Replace it as you use it with the higher quality thread. Here are a few things you need to know about thread. I purchased a GS1501, got it running. But, when you turn it off, it does not save the design, or any of the settings. There is a place to change machine parameters, but it is password protected, is there a generic password or a way to reset to factory settings? I have a 12 needle embroidery machine that powers up but that is about all, can't get the needles to advance. You gave me advice on this back in April 2014, with no luck on getting it going again. Last year was just a plain wash since we moved our business..but now I would like to get this going again. Should I be cautious about buying an older machine? I know you aren't a forum for questions but your site is the only one I have found that has helpful information. I had Melco machines a long time ago (EP-1 and EMC-1). They were a nightmare to keep running. I am wanting to get back into embroidery now and have the opportunity for a couple of different machines. From time to time customers ask me what is the difference in this type of embroidery machine or that one. Which one is best for my particular goal. I am just going to be monogramming which machine is the best for me? There are so many name brands and models that it is difficult to grasp the concept. Emboidery machines manufacturers do not follow strict guidelines in designing their machine and the attributes cross over from one type to the other. You need to consider what you want to do with your machine and where you want to be in the future. If you are just going to stitch out a few designs for the grandkids for birthdays and Christmas you may not want to shell out $16,000 for a top of the line machine. If you are going to be turning out production of 50 to 100 shirts at a time you may want to look at something more than a table top to get the job done. There are three basic types or classes of embroidery machines. Here is a general breakdown of the machines. I need an advice for metalic thread. Specially When I am doing 3D job , keep thread break happens. I tried adjust tension (Top & Bottom) , replace new needle(75/11) , slow speed , adjust density.... I tried 3 different machines , still same problem. I am using Marathon thread. Is it better use madeira , RA or isa cord? I need a advice . I was wondering if you could offer any advise on to what causes needle breaks when switching to cap frames? My Toyota 9000 sews just fine on flats, as soon as switch over to cap frame and begin sewing, pop goes the needle. 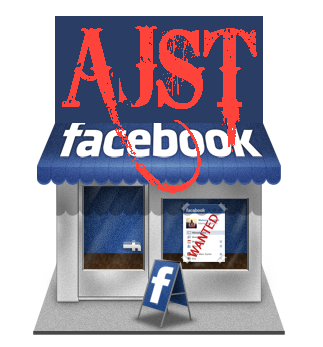 AJST = Broken needles when doing caps can be caused, by a number of things. Here is a list of the things that I check when troubleshooting this issue. Thinking of getting into embroidery? Breaking into embroidery? 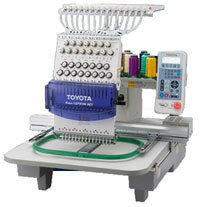 Thinking of adding an additional embroidery machine to your shop? Should you buy a single head machine or a multi-head machine? Here are several things that you need to consider when buying an embroidery machine. What do I plan on doing with an embroidery machine? During my time working on embroidery machines I have seen a huge variety of clients that have been successful in this industry. The main things that makes an embroidery business successful is turning out quality products, producing the items when you promise them, and finding your niche in the business. I work on most brands of embroidery machines and in a unique position to evaluate and test most brands. I try to keep an unbiased opinion for my customers. This is what I think of Avance’. Avance’ is one of the better Chinese machines on the market. It is patterned after the Pantograms GS-1501 with improvements, and upgrades. The biggest advantage of owning an Avance’ is the quality control used in building the machine and the customer support from the distributor. Each machine is set up when it is received from the factory and they test-sew and verify that the machine works like it should. They sew a flat and cap design out on your machine. There is a single head model and a multi-head design. This is a method for doing Cut-In-Place Applique'. I have had a lot of customers that have asked me how to do applique'. This is a how to, or DIY method for sewing it out yourself. I will try to do a digitizing article for this later. There are two main methods for making applique'. There is Pre-Cut Applique' and Cut-In-Place method for making applique'. Here is one technique I use to make Cut-In-Place Applique'. Which is the best embroidery machine? The majority of Commercial Embroidery Machines are made in China, Korea, and Japan. Just about, all of them share the same basic mechanical design. In fact, many of the parts are interchangeable. The main difference in the machines is the components and workmanship included in the machines.To make it a little simpler to understand consider the Chevy Silverado and the GMC Sierra. Both share the same basic design and use the same parts. The difference is in the workmanship and cosmetics of the vehicle. Thread tension is often misunderstood and an elusive skill to most embroidery machine operators. Some machine manufactures advise new owners to not touch the tension. In most cases they are right. As you learn how to use your machine the correct tension will make a huge difference in quality of your work. This article looks at thread tension and how to adjust it. I found your website because i was reading articles about chinese embroidery machines. So i found out that you know much about them. So maybe i can ask you few questions about them directly. Here we have all kinds of machines, also chinese ones. As you wrote, some work great, some not that perfect. Now my question is: When a customer call you for service or help, from where do you get all parameters for the chinese machines to check and set? I repair all our machines by myself, but for chinese machines i just can try and check if all works. For Happy machines (as example) you get a complete service manual with every single parameters. For chinese machine it seems that such stuff doesnt exists. Where do you place the design on your clothing and embroidery Items?